Snowlinux 2 "Ice" RC released! 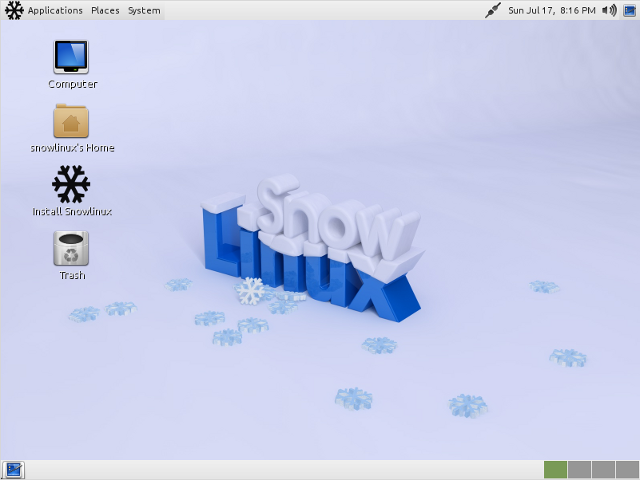 The team is proud to announce the release of Snowlinux 2 "Ice" RC. Snowlinux 2 is supported until Februar 2014. Snowlinux is 100 % compatible with Debian's Repository. Snowlinux 2 is called "Ice" and is based upon the stable and latest Debian 6 "Squeeze" with LTS Linux kernel 2.6.32, chromium-browser, icedove, banshee and shotwell. The ISO is going soon into QA and will pass it. Snowlinux will be released this Februar.